but the superheroes were warned about it by the Inhumans and were ready to defeat it. A new Inhuman named Ulysses can see the future and it can change everything. 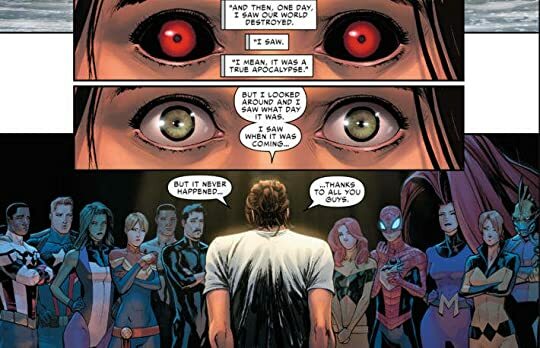 Civil War II really wasn't good. I'm currently interested in all things about the Inhumans so I was excited to see they were taking a central role, but they really didn't. 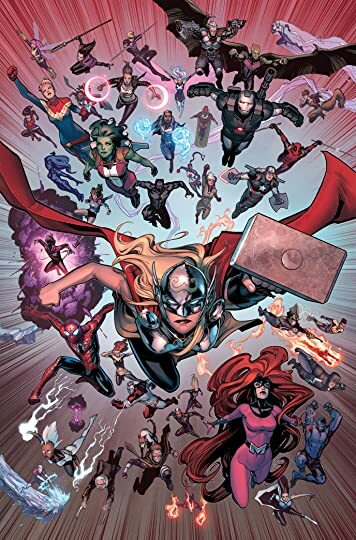 Ulysses could have been from any group of super powered individuals and it wouldn't have made a difference, although I'm sure this put the spotlight on the Inhuman characters more. Not sure that was a good thing. 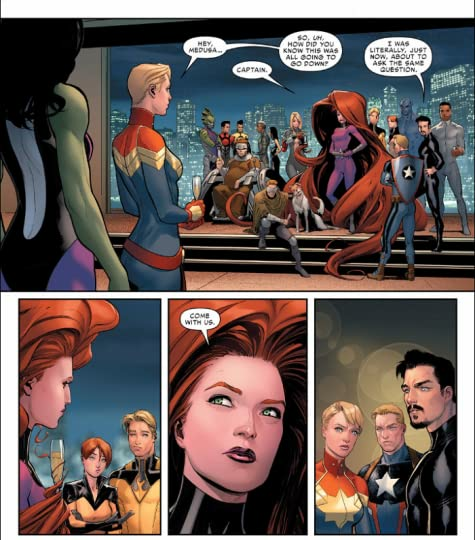 So the conflict centers around Captain Marvel and Iron Man, but in truth it was largely about a type of profiling. Ulysses visions showed a future, but is it ok to arrest someone for something they haven't done. Captain Marvel believed Ulysses visions were absolutely true and started arresting and detaining people before they could commit crimes. Iron Man wasn't sure and honestly his side of the argument was always a bit confusing. 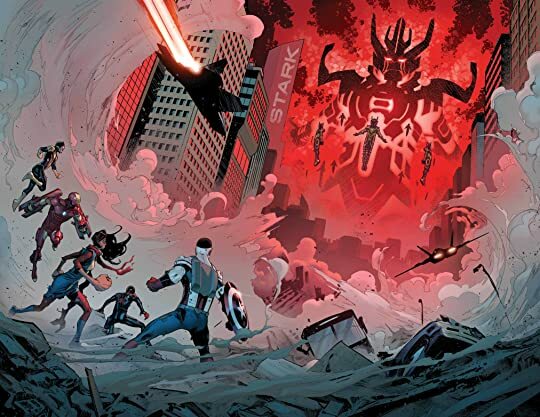 I don't really know outside of an early major incident why Tony Stark was fighting the use of the visions. In the end Civil War II was an undeveloped excuse for the heroes to fight each other.